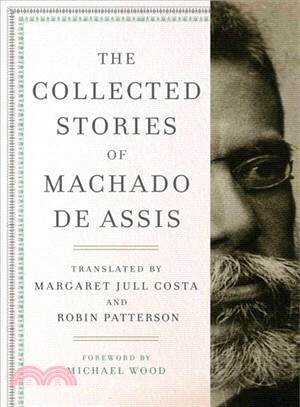 Widely acclaimed as a progenitor of twentieth-centuryLatin American fiction, Joaquim MariaMachado de Assis (1839–1908), the son of a mulattofather and a washerwoman, was hailed in his lifetime as Brazil’sgreatest writer. His prodigious output of novels, plays, and storiesrivaled contemporaries like Chekhov, Flaubert, and Maupassant,but, shockingly, he was barely translated into Englishuntil 1963, and still lacks proper recognition today. Aware ofthis lacuna and drawn to the master’s psychologically probingtales of fin-de-siècle Rio de Janeiro—a world populated withdown-and-out aristocrats, parvenus, and struggling spinsters—Margaret Jull Costa and Robin Patterson have combined allseven of Machado’s short-story collections appearing in hislifetime into one volume featuring seventy-six stories, a dozenappearing in English for the first time. Machado’s daring narrativetechniques and postcolonial realism anticipated the dominantthemes of twentieth-century literature and this majestictranslation reintroduces him as a literary giant who must finallybe integrated into the world literary canon.